Pacific Pm36-2 Piekna Helena comes off the afternoon Leszno – Wolsztyn – Zbaszynek working ready to run round her train on 17 April 2011. Photo BTWT. After the completion by PKP PLK of a major upgrading programme for the track and infrastructure between Poznan and Wolsztyn, steam services returned to the line on 11 December. 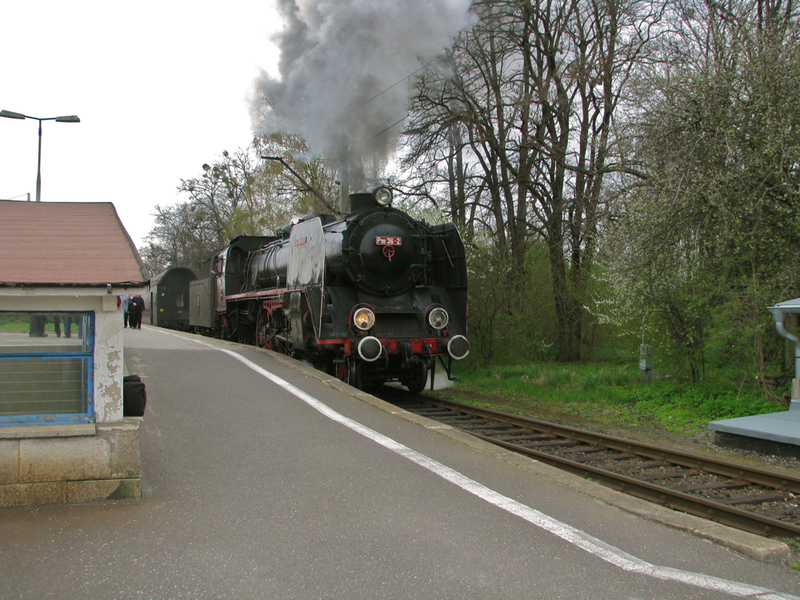 The last regular steam service on the Zbaszynek – Wolsztyn – Leszno line ran on Friday 9 December. On Saturday the service was diesel hailed while Ol49-59 ran ‘light engine’ from Wolsztyn to Poznan to enable drivers to familiarize themselves with the upgraded line. On Sunday 11 December – the first day of the new timetable on Poland’s railways – the restored Wolsztyn – Poznan passenger workings were also hauled by Ol49-59. The new service consists of a twice daily run from Wolsztyn to Poznan and return: Wolsztyn dep. 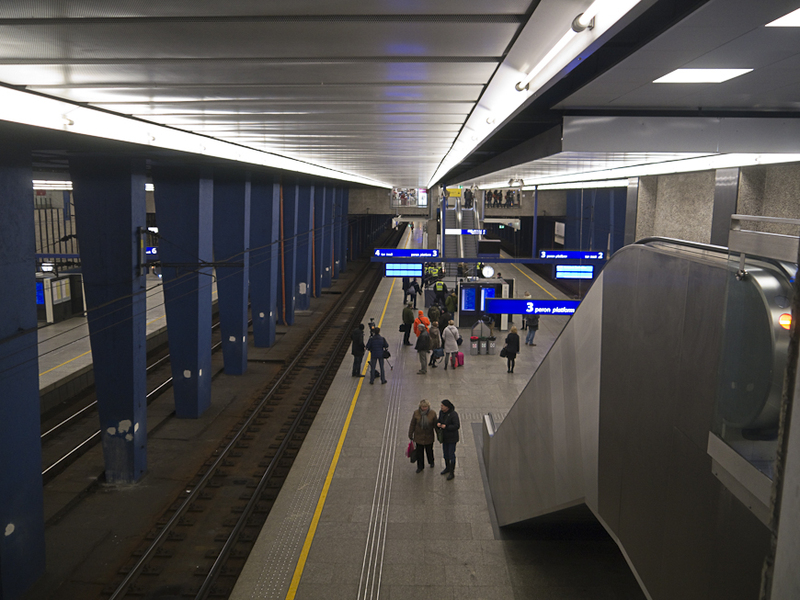 5:16 – Poznan arr. 7:13, Poznan dep. 9:20 – Wolsztyn arr. 11:17; Wolsztyn dep. 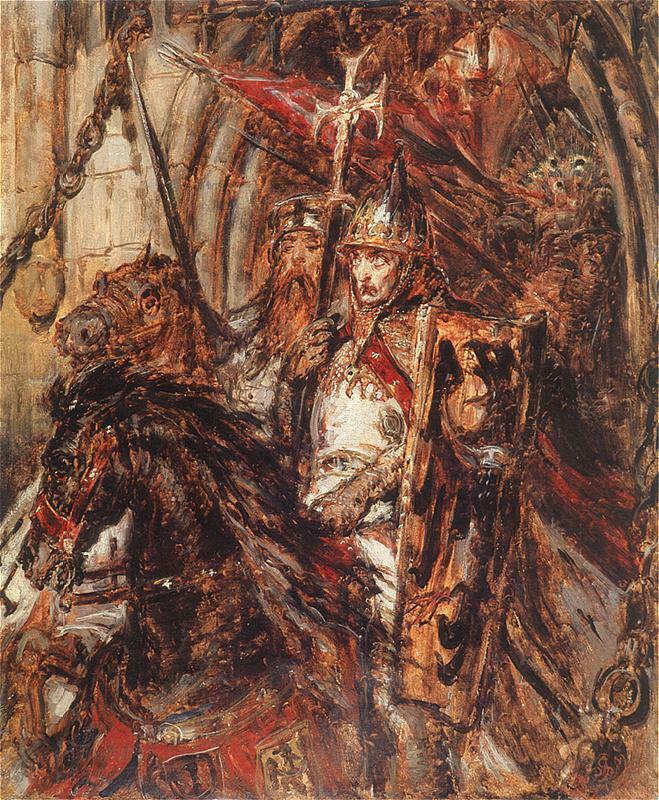 13:39 – Poznan arr. 15:47, Poznan dep. 17:20 – Wolsztyn arr. 19:16. After Pm36-2’s run from Zbaszynek there is a short break at Wolsztyn. 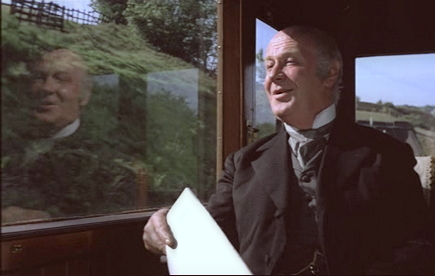 The loco is is watered and coaled. Photo BTWT. From June 1st 2012, when the track is bedded in, the morning outward and the return afternoon working which carry most of the commuter traffic will become a limited stop service. This will reduce the current 1 hr 57 min journey time to to 1 hr 23 min. Note the current timetable can be downloaded from the Koleje Wielkopolskie (KW) website, the links on the Przewozy Regionalne website still point to the withdrawn timetable. From 1 June 2010, the steam services, together with many other local services, have been the responsibility of Koleje Wielkopolskie (KW), the local rail services operator owned by the Wielkopolska provincial government. 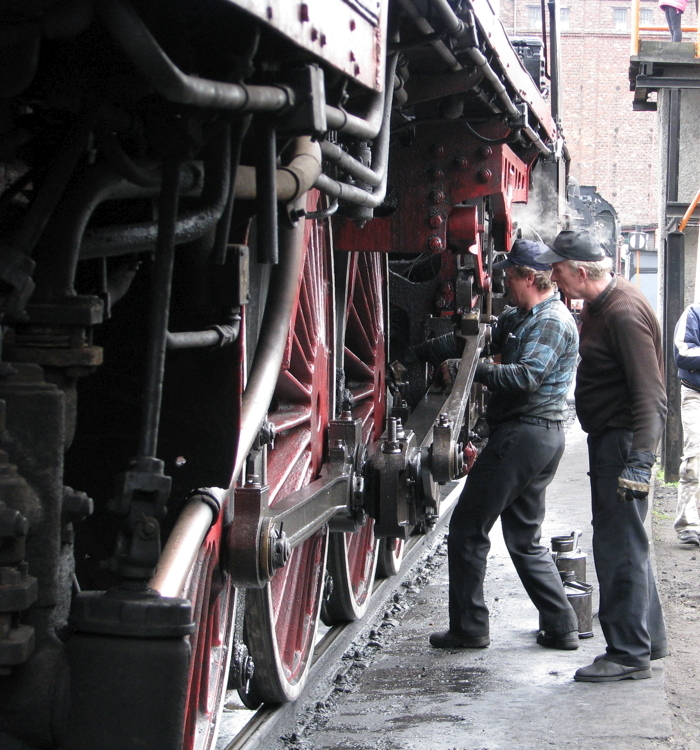 KW receive a special subsidy for the steam service, from the Wielkopolskie provincial government. Actual service delivery is by means of steam engines and crews hired from PKP Cargo and coaches leased from Przewozy Regionalne. Or at least that is our understanding of the current arrangement. Please write if you know anything different! 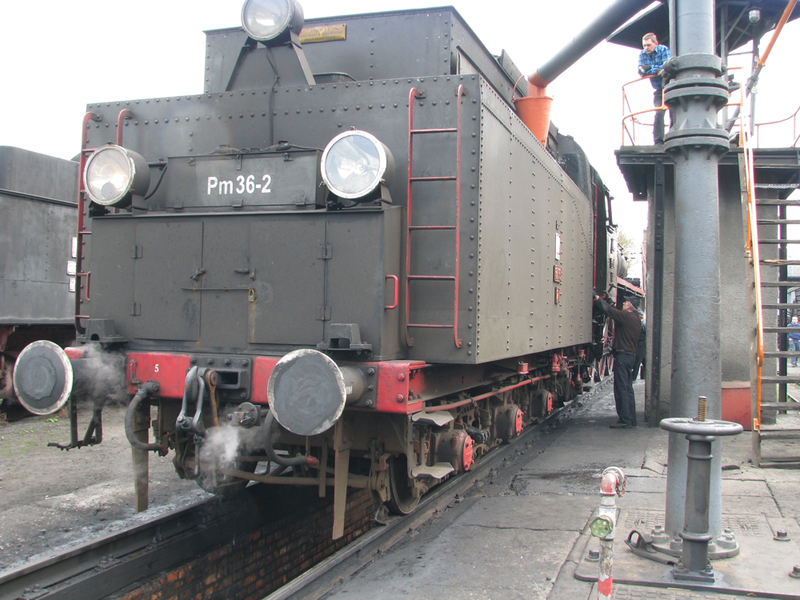 The operating locos this winter will be Ol49-59 and, Warsaw Railway Museum-owned, Pm 36-2. 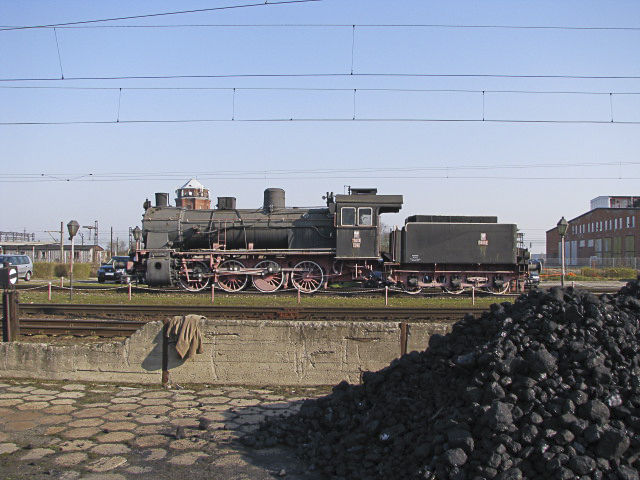 Ol49-69 is due to return from overhaul at Leszno during the winter. Bearings and motion receive attention and then the loco returns to the station to haul her train to Leszno. Photo BTWT. Route – Poznan Glowny – Gniezno – Inowrocław – Torun Glowny – Poznan Glowny. Route: Poznan Glowny – Oborniki – Pila – Okonek – Kolobrzeg – Kolobrzeg Port. Kolobrzeg – Okonek – Pila – Oborniki – Poznan Glowny. A number of other dates for Turkol steam specials (presumably tentative) are given on the Wolsztyn Experience website.